Killer Characters: Meet My Author at Malice Domestic! Meet My Author at Malice Domestic! Right now, the Malice Domestic Convention is going on. It is the place to be for authors and fans of traditional mystery. Characters too. There is a lot of talk about cozy characters throughout the weekend from authors and fans. Isabella Alan (aka Amanda Flower), who is writing my multi-book biography, will be there. Stop her if you see her and say hello. She doesn’t bite… or so I’ve been told. If you are going to Malice too, here are the places you can see Isabella. (Warning: she may be calling herself “Amanda” most of the time. I can’t break her from that annoying habit.). Come to her panel. Her children’s mystery, Andi Unexpected, is an Agatha Award Nominee for Best First Novel, so Amanda will be on Kids Love A Mystery: Our Agatha Best Children's/Young Adult Novel Nominees panel with fellow nominees: Joelle Charbonneau, Kathleen Ernst, and Penny Warner on Saturday (5/3) at 9am with a signing right afterward. 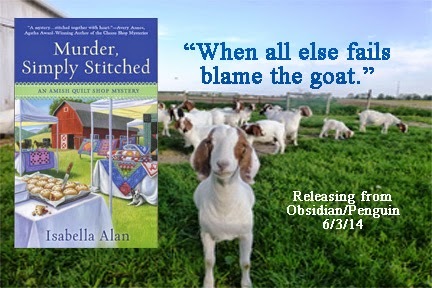 While my author is away, I have launched a pretty awesome giveaway to celebrate the upcoming release of Murder, Simply Stitched, the second novel of my mysterious adventures with the Amish in Holmes County, Ohio. It comes out on June 6th. “Angie is finding her niche as the new owner of her late aunt’s Amish quilt shop, Running Stitch. But as the summer is winding down, so is business. To bolster support for the shop, Angie decides to sell her quilts in the Rolling Brook Amish Auction, including some of her aunt’s most prized works. Doesn’t it sound great? All right, I'm biased, but I’m so excited about this book that I’m giving away two Amish Charm bracelets. Check out the photo. 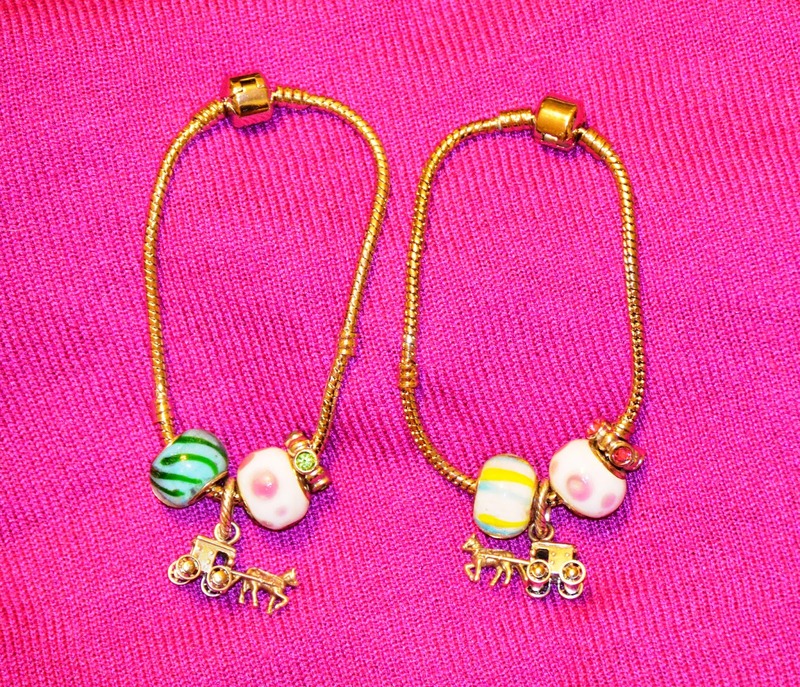 Who doesn’t love an Amish buggy charm?